This morning while reading Matthew 5, I read though the passage where Christ was telling his followers how they were salt. And I was convicted! How quick I was to read through this and to not really stop and try to understand what Christ was saying. But thankfully, the Spirit convicted me to go deeper. 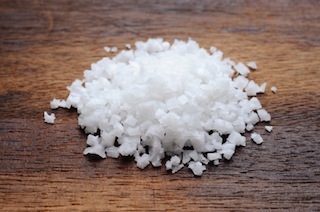 During this time, one of salt’s primary uses was that of food preservation. Corruption and rot would set in quickly in meats if they were not properly cured. In this, I believe that Christ was directing his followers to go to the areas of highest corruption and rot. They were directed to share what they were told, to share the cure for the rot and corruption of sin. But Christ didn’t stop there, he went on to warn his followers that their “saltiness” could be lost. The salt that was produced around the Dead Sea was of a type that some elements would leach out of the salt over time, reducing it to a worthless material for anything other than road building. This to me was an even more convicting statement. If I don’t use the gift (God’s grace) for the purpose that it is most valued for (preventing rot & corruption) then it will become a tasteless substance, as valuable as dirt. Intentionally going to people and places that are in the depths of sinful rot and corruption is not an appealing prospect to me. But that is what we are called to do…that is what I am called to do. This is why we (our family) are longing to deploy to Uganda. So that we can spread the grace that has been given to us. We are excited to watch Christ build His church, to watch the Holy Spirit regenerate corrupted hearts. To experience the conviction and sanctification of God in my sinful heart. I would appreciate your prayers. Pray that I would trust in the calling that the Lord has given us. Pray that I would boldly share my “salt” with those in need of hearing the gospel of Christ.